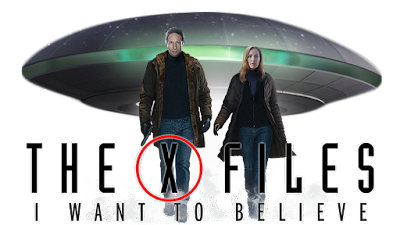 Obs: Esta postagem foi inspirada na página How to Catch Up on 9 Seasons of the X-Files de Marisa Roffman postada no portal norte-americano TVInsider e será editada ao longo do ano de 2016 com a tradução dos títulos nacionais dos episódios e com as respectivas críticas à listagem. Logicamente irei propor uma outra com acréscimos e utilizando um número maior de dias. 1. "Pilot" (1x1): Scully (Gillian Anderson) get assigned to The X-Files and works her first case with Mulder (David Duchovny). 2. "Squeeze" (1x3): Mulder and Scully investigate deaths where the killer is able to access his victims in areas with seemingly no points of entry. First—of many on this list—written by Glen Morgan and Jim Wong, two of the returning writers of the upcoming revival. 3. "Ice" (1x8): Mulder, Scully and a team of scientists try to figure out why an Arctic team wiped each other out--until the new team turns on each other, too. 4. "Fire" (1x12): Cecil (Mark Sheppard), a pyrokinetic, causes mayhem. 5. "Beyond the Sea" (1x13): After a personal loss, Scully's skepticism is put to the test by a man on death row claiming to be a psychic. 6. "The Erlenmeyer Flask" (1x24): Season 1 finale; [ Mitologia ]. 7. "Little Green Men" (2x1): Season 2 premiere; [ Mitologia ]. 8. "The Host" (2x2): One of the show's most iconic monsters of the week—the Flukeman. Darin Morgan—a writer on the show (and the upcoming revival)—also portrayed the Flukeman. 9. "Duane Barry" (2x5): When an ex-FBI agent—who claims he was abducted by aliens—holds people hostage, Mulder is called in to negotiate. The episode kicks off one of the most important [ Mitologia ] arcs of the series. 10. "Ascension" (2x6): [ Mitologia ]. 11. "One Breathe" (2x8): [ Mitologia ]. 12. "Irresistible" (2x13): Scully is targeted by a fetishist. 13. "Colony" (2x16): [ Mitologia ]. 14. "End Game" (2x17): [ Mitologia ]. 15. "Humbug" (2x20): Mulder and Scully are called in to investigate the death of a sideshow performer. 16. "Anasazi" (2x25): Season 2 finale; [ Mitologia ]. 17. "The Blessing Way" (3x1): Season 3 premiere part one; [ Mitologia ]. 18. "Paper Clip" (3x2): Part two of the premiere; [ Mitologia ]. 1. "Clyde Bruckman's Final Repose" (3x4): Mulder and Scully enlist a reluctant psychic, Clyde Bruckman (Peter Boyle), to help them catch a killer who may be able to see the future. The hour won an Emmy for Boyle's guest role and for Darin Morgan's script. 2. "Nisei" (3x9): [ Mitologia ]. 3. "731" (3x10): [ Mitologia ]. 4. "Syzygy" (3x13): A rare planetary alignment causes people to act out of sorts…including Mulder and Scully. 5. "Pusher" (3x17): A man is seemingly able to take away people's free will. The hour includes one of the best scenes of the series. 6. "Jose Chung's From Outer Space" (3x20): A duo claim they were abducted by aliens, but no one can really agree on what went down. Mulder and Scully investigate while novelist Jose Chung (Charles Nelson Reilly) writes a book based on what he thinks went down. 7. "Talitha Cumi" (3x24): Season 3 finale; [ Mitologia ]. 8. "Herrenvolk" (4x1): Season 4 premiere; [ Mitologia ]. 9. "Home" (4x2): The hour was so disturbing that Fox opted to not re-air it after its initial broadcast. 10. "Tunguska" (4x8): [ Mitologia ]. 11. "Terma" (4x9): [ Mitologia ]. 12. "Leonard Betts" (4x12): The presumed death of a man takes a turn when his (decapitated) body disappears from the morgue. One of the show's best combinations of "monster of the week" with [ Mitologia ]-based ties. 13. "Memento Mori" (4x14): [ Mitologia ]. 14. "Small Potatoes" (4x20): After multiple babies are born with tails, Mulder and Scully struggle to find the cause. 15. "Gethsemane" (4x24): Season 4 finale; [ Mitologia ]. 16. "Redux" (5x1): Season 5 premiere part one; [ Mitologia ]. 17. "Redux II" (5x2): Part two of the premiere; [ Mitologia ]. 18. "The Post-Modern Prometheus" (5x5): The black-and-white hour has Mulder and Scully investigating a small town with a Frankenstein's monster-esque creature. 1. "Christmas Carol" (5x6): [ Mitologia ]. 2. "Emily" (5x7): [ Mitologia ]. 3. "Bad Blood" (5x12): When Mulder stakes a "vampire," he and Scully have very different recollections about what really went down. 4. "Patient X" (5x13): [ Mitologia ]. 5. "The Red and the Black" (5x14): [ Mitologia ]. 6. "The End" (5x20): Season 5 finale; [ Mitologia ]. 7. Arquivo X: O Filme/Fight the Future: (1º filme longa-metragem da série); [ Mitologia ]. 8. "The Beginning" (6x1): Season 6 premiere; [ Mitologia ]. 9. "Drive" (6x2): Future Breaking Bad creator Vince Gilligan wrote this hour, which includes a meaty role (as a man who kidnaps Mulder) for future Breaking Bad star Bryan Cranston. 10. "Triangle" (6x3): Mulder goes looking for a ship that disappeared into the Bermuda Triangle, and ends up in 1939. 11. "How the Ghosts Stole Christmas" (6x6): Mulder and Scully get trapped in a haunted house on Christmas Eve, and the residents have a little bit too much fun at their expense. 12. "The Rain King" (6x8): A man claims to be able to control the weather. 13. "Two Fathers" (6x11): [ Mitologia ]. 14. "One Son" (6x12): [ Mitologia ]. 15. "Arcadia" (6x15): Mulder and Scully go undercover as a married couple to discover what secret a neighborhood is hiding. 17. "Biogenesis" (6x22): Season 6 finale; [ Mitologia ]. 18. "The Sixth Extinction" (7x1): Season 7 premiere part one; [ Mitologia ]. 19. "The Sixth Extinction II: Amor Fati" (7x2): Part two of the premiere; [ Mitologia ]. Mulder e Scully celebrando a virada do ano 2000. 1. Watch this .gif, because this is how Mulder and Scully celebrated New Year's Eve 2000. 2. "Sein und Zeit" (7x10): [ Mitologia ]. 3. "Closure" (7x11): [ Mitologia ]. 4. "all things" (7x17): Gillian Anderson wrote/directed this hour, which included a face from Scully's past returning. 5. "Requiem" (7x22): Season 7 finale; [ Mitologia ]. 6. "Within" (8x1): Season 8 premiere part one; [ Mitologia ] and the first episode of Robert Patrick's Doggett. 7. "Without" (8x2): Part two of the premiere; [ Mitologia ]. 8. "Per Manum" (8x13): [ Mitologia ]. 10. "DeadAlive" (8x15): [ Mitologia ]. 11. "Essence" (8x20): Season 8 finale part one; [ Mitologia ]. 12. "Existence" (8x21): Season finale part 2; [ Mitologia ]. 13. "Nothing Important Happened Today" (9x1): Season 9 premiere part one; [ Mitologia ]. 14. "Nothing Important Happened Today II" (9x2): Premiere part two; [ Mitologia ]. 15. "Trust No 1" (9x6): [ Mitologia ]. 16. "William" (9x16): [ Mitologia ]. 17. "The Truth" (9x19 and 9x20): Two-part series finale; [ Mitologia ]. 18. 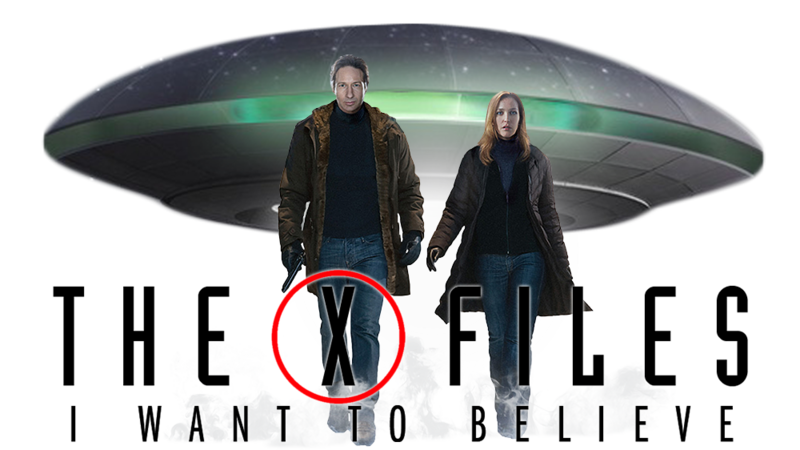 Arquivo X - Eu quero acreditar/ I Want to Believe (2008): Mulder and Scully are called on to help when a FBI agent goes missing, and the only clue to her whereabouts are from a former priest/convicted child molester who claims to have visions of her.